POSTED Mon, 04/14/2014 - 05:00 | POSTED BY Traci C.
Several signature events at the Walt Disney World Resort have a new sponsor. Transitions Optical Inc. recently signed an agreement with the Walt Disney World Resort to become a sponsor of several events including the runDisney series, the Epcot International Flower & Garden Festival, the Epcot International Food & Wine Festival, and the Festival of the Masters in Downtown Disney. The company will also be sponsoring the Atlanta Braves spring training at the ESPN Wide World of Sports Complex. POSTED Sat, 03/01/2014 - 06:00 | POSTED BY Traci C.
Despite the never-ending winter in the northern half of the country, baseball season is right around the corner, and the Atlanta Braves have reported for spring training in Orlando. For the 17th year, the Braves spring training is taking place at the ESPN Wide World of Sports Complex at the Walt Disney World Resort. Pitchers reported on February 14 and the rest of the team reported February 18. POSTED Mon, 02/24/2014 - 06:00 | POSTED BY Traci C.
For one week next month, Disney fans will get a behind-the-scenes look at Disney parks, resorts, and cruise line during Disney Week on Destination America. The week long programming event will highlight Disneyland, Disney Cruise Line, and the Walt Disney World Resort theme parks and hotels. POSTED Wed, 02/19/2014 - 06:00 | POSTED BY Traci C.
PUSH the talking trash can has been removed from the Magic Kingdom at the Walt Disney World Resort. There were rumors of his departure for nearly a week before it was made official, and fans even took to social media to save the beloved trash can, creating a Facebook page in an effort to "Save PUSH." The animatronic trash can was created by and is owned by an Orlando-based product development company, Real Simple Ideas LLC. POSTED Tue, 02/18/2014 - 06:00 | POSTED BY Traci C.
Nearly 37,000 unionized employees at the Walt Disney World Resort are preparing to negotiate for higher wages when their contract expires next month. The workers are represented by six different local unions as part of a coalition called the Services Trade Council. 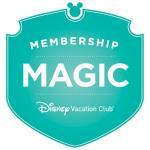 POSTED Wed, 02/12/2014 - 06:00 | POSTED BY Traci C.
Disney Vacation Club members now have more reasons to love the DVC. Disney Vacation Club recently launched a new program called "Membership Magic" aimed at giving more enhancements with their membership including exclusive vacation options, money-saving discounts, and more. POSTED Fri, 02/07/2014 - 06:00 | POSTED BY Traci C.
Walt Disney World cast members and their families recently had a chance to take part in the 4th Annual Walt Disney World Resort Holiday Bird Count guided by Disney's Animal Program experts. During the bird count more than 24,000 birds representing 119 species were counted at the Walt Disney World Resort and surrounding areas. This number set a new record for the most birds and species observed in the last four years. POSTED Mon, 01/06/2014 - 06:00 | POSTED BY Traci C.
The Force will be with guests once again in 2014. The Walt Disney World Resort recently announced the dates for the 2014 Star Wars Weekends at Disney's Hollywood Studios. Star Wars Weekends are scheduled for each weekend (Friday, Saturday, and Sunday) on these dates: May 16-18, May 23-25, May 30-June 1, and June 6-8. POSTED Fri, 12/27/2013 - 06:00 | POSTED BY Traci C.
The Walt Disney World Resort recently unveiled another option for guests when it comes to viewing and purchasing photos taken by Disney PhotoPass photographers. The new option is called Memory Maker and it's 100 percent digital. Memory Maker allows guests to download unlimited digital photos of Disney PhotoPass pictures, without having to purchase the photos individually. POSTED Mon, 12/23/2013 - 06:00 | POSTED BY Traci C.
WestJet recently unveiled its newest custom-painted aircraft and this one features Sorcerer Mickey and has been dubbed the "Magic Plane." The aircraft was unveiled on December 2 by WestJet, WestJet Vacations, and Walt Disney Parks & Resorts (Canada) and made its inaugural flight on December 3 from Calgary to Orlando.